LEADING homecare provider Bluebird Care has secured tenders to provide care for older people in all nine Community Healthcare Organisations across Ireland, creating hundreds of new jobs. The roles, which will be spread across the country, will vary from Clinical Nurse Managers to Care Assistants and will add to Bluebird Care’s present team of 1,800 Irish-based staff. The awarding of the tenders has accelerated Bluebird Care’s growth plans for 2018/2019 and will lead to the recruitment of over 450 people throughout its 26 nationwide offices in Ireland. Driven by over 20% growth over the last 12 months, the new roles will enable Bluebird Care to continue to deliver high-quality, person-centred care for clients with a diverse range of needs. With opportunities available across the country, including Kildare (30 openings), Dublin West (25 openings), Wexford (25 openings) and Clare (20 openings), these jobs will be firmly rooted in the community with a range of full and part-time roles available to suit individual lifestyle needs. Bluebird Care’s announcement presents the perfect opportunity for nurses and health care assistants who have been considering returning home to Ireland to become part of an ever-growing team of professionals providing care in their local community. Managing Director of Bluebird Care, Brian MacGoey, said: “We are proud to announce that Bluebird Care will be creating 450 jobs, adding to our already high calibre team of more than 1,800 who are providing invaluable care day in day out across Ireland. “Winning nine out of nine contracts with the Community Health Organisations further endorses Bluebird Care’s commitment to standards of care and our ability to attract the best people. “We are committed to providing high-quality, safe and effective care in our client’s own home which is, more often than not, their preferred place of care. Our unique and dynamic working environment allows for rewarding and flexible employment opportunities for potential key staff. “With this in mind, we are delighted to be recruiting caring and compassionate people to join the Bluebird Care team”. Mr MacGoey added: “We are now inviting all interested and qualified persons to make contact with us to learn more about developing a gratifying career with one of Ireland’s leading homecare companies, which holds the EIQA Q Mark for quality. “In particular we are interested in speaking to nurses and care assistants who may be thinking about making the move home from Britain. We understand, as Brexit approaches, it is still very unclear how any agreement will affect living and working arrangements for Irish healthcare workers in the UK and this is causing deep concern for many. 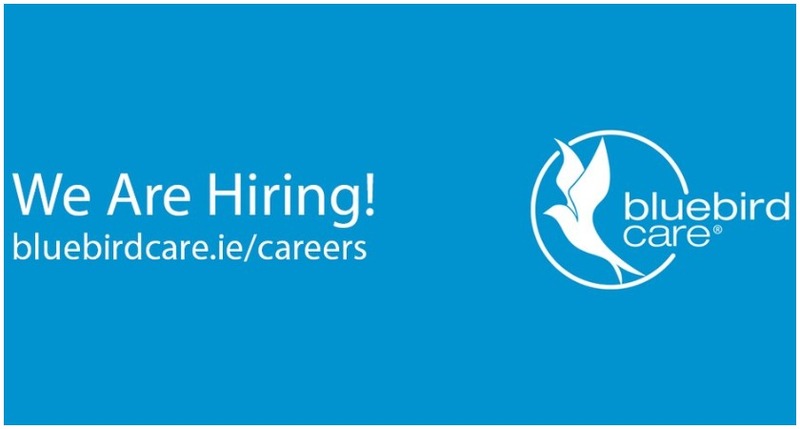 “There are now real opportunities with Bluebird Care in Ireland who offer competitive salaries and a wide range of professional development supports to its staff including training programmes, mentoring and various avenues for staff advancement nationwide. “As part of the Bluebird Care team, you would be making a real difference to the lives of those you care for and in return, Bluebird Care offers competitive rates of pay, flexible working hours and continuous professional development. 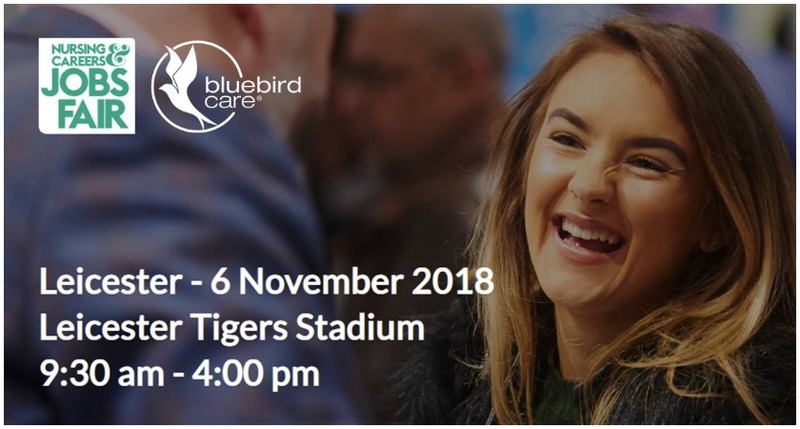 Bluebird Care Ireland will also be attending the UK’s largest Nursing Careers event in Leicester on November 6 at Welford Road Stadium (home of Leicester Tigers).